As of July 1, 2016, the state of Vermont requires all foods made with genetically modified ingredients to be labeled as such. While transparency in the food supply chain is typically a good thing, in the case of GMOs it does not make sense from a nutritional standpoint. The Dirt-to-Dinner team understands the importance of food labeling. It helps consumers understand the nutritional content, identify ingredients, and to avoid an allergic reaction! Nutrition labels help us identify the daily percentage or specific key nutrients and unhealthy additives, like sugar. (Sugar is Sugar discusses how sugar can cause long term health issues.) But, in the case of GMO vs. non-GMO products, this is not applicable. All genetically modified produce has the same nutritional content as non-GMO food. For instance, your corn tortilla has the exact same nutritional profile regardless if it was made with GM corn or not. Labeling GMO produce gives implies that there must be something wrong with GMOs. It is labeling initiatives like this that fuel consumers distrust of GMOs. And a lack of understanding often leads to fear, which urges consumers to select ‘made without GMOs’ foods when given a choice. But, in reality, when polled, over 60% of people are not sure what the acronym “GMO” even means! Vermont is the first state to require labeling — will others follow? The state of Vermont is home to the most certified organic farms per capita. Thus, it is not surprising that Vermont is the first state to require such labeling. But this arduous labeling process is not solely focused on food transparency. More than helping the consumer “know what is in their food”, Vermont’s legislation condemns GMOs. The Vermont Labeling Rule implies that the FDA has not done a thorough review of GMOs; that there is no scientific consensus on the validity of GMO research; and that they are protecting public health and food safety. But, if we simply refer to the FDA’s website, you will find the agency’s exhaustive research on genetic engineering, from plant toxicity levels to the nutritional value against its traditionally-bred counterpart. The FDA has a very real responsibility to protect its American citizens and would not lazily let some “new food technology” slip through the cracks. But GMOs are the most highly tested food ever created without one documented negative health event. Our food is safer than ever before. Why can’t we trust the FDA, USDA, WHO, EFSA, and even the EPA, all internationally recognized organizations indicating that GMOs pose no human health or environmental risk? Proponents of GMOs have shown crops can be grown with a higher yield per acre while still reducing pesticide, herbicide, and water use. The opposition doesn’t like the use of the pesticide, glyphosate, which is a less toxic pesticide than most. They think it poses health risks as well as reducing crop biodiversity. For those still opposed to genetically modified foods, there are still many options. 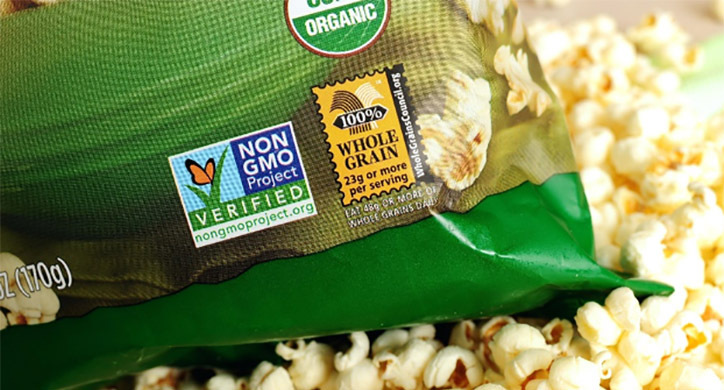 Legally, certified Organic foods cannot contain GMOs. Whole Foods has even dedicated a portion of its website on ‘How to Shop if Avoiding GMOs’. There are cost-effective ways to be a smart shopper without wasting state government resources and money to further increase GMO labeling. USA Institute of Medicine (IOM) & National Research Council (NRC) of the National Academies. USA Federation of Animal Sciences Societies (FASS) – representing the American Dairy Science Association (ADSA), American Society of Animal Science (ASAS) and the Poultry Science Association (PSA). In the United States, food safety should remain where it belongs: with the governmental organizations we have in place to keep our food clean, safe and environmentally responsible.